A rural community with more than 400 residents will be used to pilot a project aimed at reducing the residents’ electricity bills. The village of Telescope in the eastern parish of St Andrew is set to benefit from an energy efficiency project which is part of a wider project undertaken by the Energy Unit and funded by the Latin America and the Caribbean Energy Efficiency Program (PLACEE). “Telescope is a community with poor and vulnerable persons, and if we can spell success there, the result will be very instructive for all of us,” said John Ogiste of the Energy Unit who explained that once the patter of behaviour remains the same, all the residents should experience reduction in their electricity bills. “Changing behaviour can save on the barrels of oil, so it’s important that those who will be participating in this project understand that they will still have to continue practicing conservation measures, as reduction will not only happen with change in the bulbs,” he said. 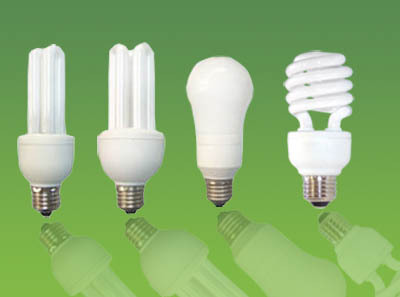 Ogiste said that the project, which is expected to be implemented anytime after July 2013, will see each participating household receiving energy efficient lights bulbs for free, through an exchange programme. “We will be giving energy saving bulbs, and the residents in turn will be giving us the bulbs they are presently using; we will then check the amount of watts we receive compared to the amount we give away; immediately we will have data with regards to watt reduction for the community, but it will now be up to the household to maintain the pattern of electricity consumed before the bulbs were exchanged so they can see the benefit,” he said. The bulb exchange project is one of two energy audit projects that are expected to be done under the PLACEE. Ogiste said that two small hotels are also expected to be energy audited, with a view of understanding their energy consumption and identifying areas for reduction.